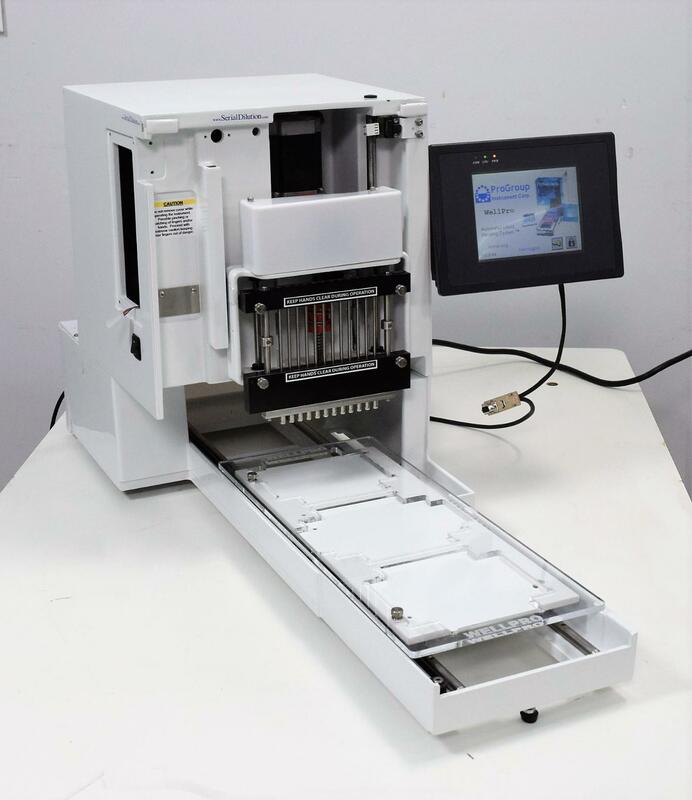 Progroup Wellpro 3000 Automated Liquid Handling System Serial Dilution . New Life Scientific, Inc. The robotics and 6" Touch Screen are all in good working condition. The problem lies within the Motor Control Boards. The technician applied power and was able to get the axis to initialize, home and perform all functions. The Motor control board will need replaced for the system to properly perform all functions. The touch screen is bright and moves accurately through all screens.